The INTEGRATED CAB HVAC is an 8.0kW evaporator air conditioning and 3.0kW heating system. The evaporator is an integrated boxed enclosure which is mounted inside the cab, center front of the dash. 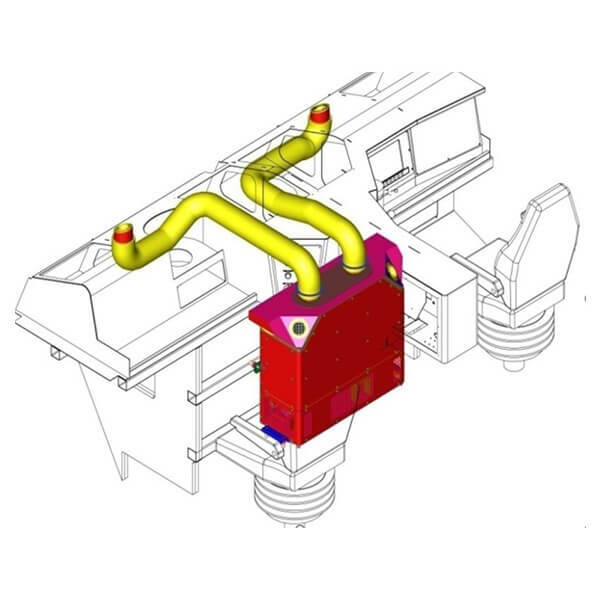 The ducting interface is flexible and custom designed to suit the cab and dash specific-layout. Mounting brackets are designed to suit the required interfaces. The evaporator has 2 dual scroll blowers to allow for high pressure losses in constrained air ducts. 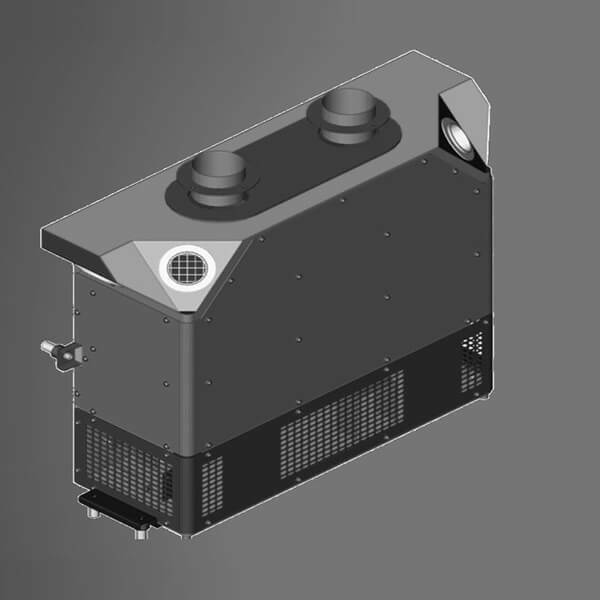 A condenser pack in enclosed condenser unit is included, which is mounted on the outside of the front cab as a separate module containing condenser, heat exchanger and cooling fans. The 121cc displacement (motor driven) compressor is mounted directly on a separate 74VDC motor, including clutch. DC to DC power inverter is mounted outside cabin.